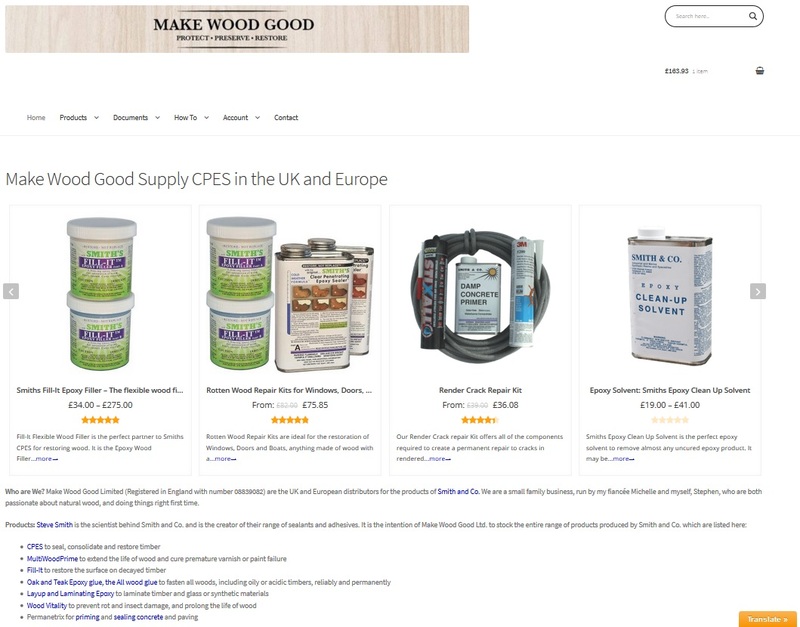 MakeWoodGood.com required an ECommerce platform to sell the quality epoxy resins that they were importing from Smith and Co. in America into Europe. We investigated their requirements and implemented a WordPress CMS based WooCommerce solution which perfectly fulfils the immediate and future requirements of Make Wood Good. MakeWoodGood had an existing eCommerce solution that they had outgrown, and a site that had a significant amount of content. As the previous site was another WordPress site, the choice of a WordPress site for the new ECommerce solution made the migration process significantly easier. WooCommerce was chosen, after a careful analysis of requirements and capabilities. The site was extensively tested on a private host before going live in September 2017.